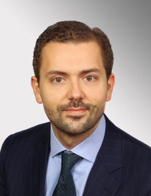 Spyros Tsiloglou joined Credit Suisse in 2015 as Head of Greece and Cyprus in our Investment Banking and Capital Markets Division. He previously worked for Goldman Sachs where he was responsible for covering Greek clients across the Sovereign, Financial Institutions and Corporate space including Shipping. Spyros graduated from Athens College and holds an MEng in Mechanical Engineering from University College London and an MSc in Shipping, Trade and Finance from Cass Business School.